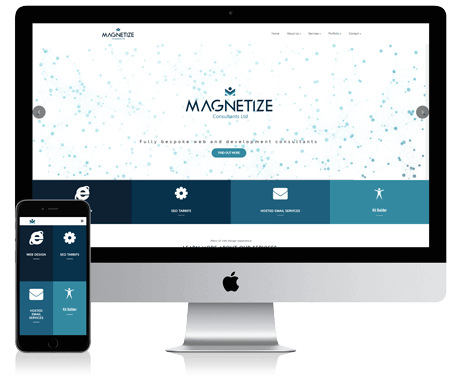 Magnetize are a vibrant and full service web design and development agency with over nine years experience based in the Gloucester and Cheltenham area. We work with a diverse range of clients and deliver solutions from simple static page websites to fully database integrated, content managed and ecommerce websites as well as complimentary services such as search engine optimisation, web hosting, email services, internet marketing, web analytics, domain names and after-sales. From major e-commerce platforms to smaller HTML5 websites we always use the latests technologies to ensure the best, most future proof website you can get. Our hosting includes the best security out there, ensuring that you, your website and your customers are always in safe hands with us. We're not just web developers, we are SEO experts, web security consultants, server engineers, we are the full package for your complete web experience, making sure you have everything you need to run a successful website.